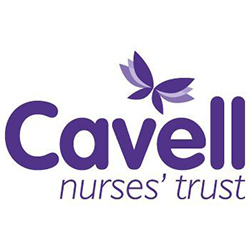 Cavell Nurses' Trust is a registered charity, dedicated to supporting UK Nurses, Midwives and Healthcare Assistants. 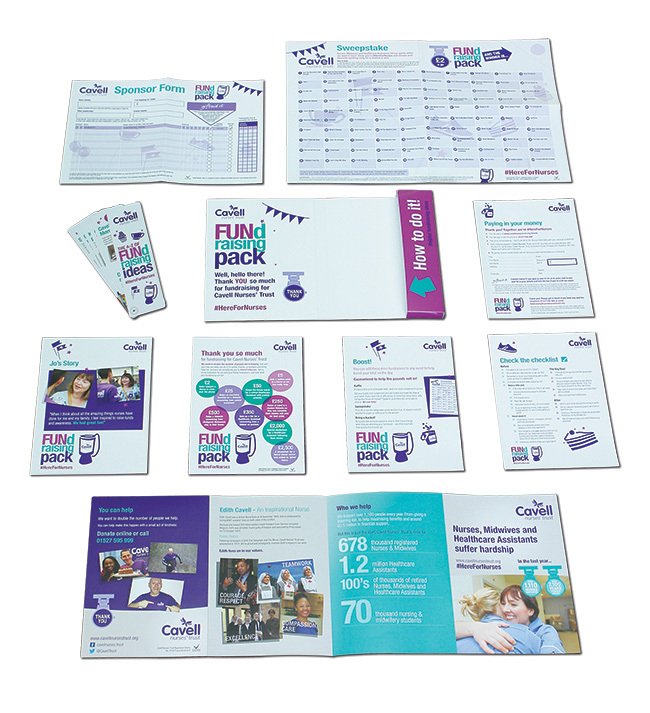 Reliant upon public donations to provide this much needed support, Cavell needed to create a visually appealing, informative fundraising pack to send out to anyone who was looking to raise money for the Trust. The charity market is a highly crowded space, with a multitude of worthy causes to support, so it was important that this pack appealed not only to those working within the healthcare industry, but also to the general public who might want to give something back to the caring profession. It was critical that this pack made it as easy as possible for people to raise money and was packed full of hints and tips. 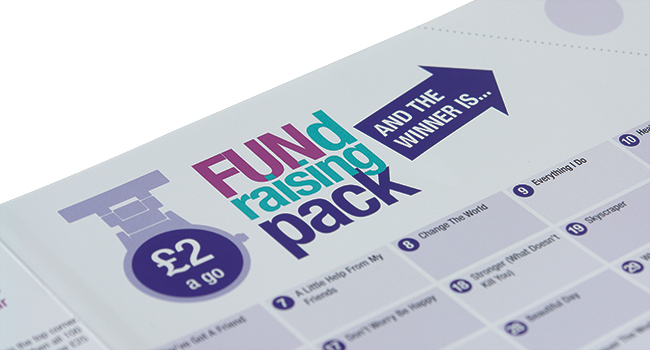 We initially looked at the range of other charities that provided fundraising packs, assessing what was great and how this could be translated through to the fundraising pack for Cavell Nurses' Trust. Once aspect that really stood out was that fundraising can feel like a bit of a burden, often putting people off from getting involved. From this concern, we developed the concept that we wanted to put the Fun back into Fundraising and to show that fundraising could be an opportunity to spend time with friends and family. With a range of items contained the folder, we worked on ensuring that the fundraising was as well prepared and supported as possible. Whilst printed packs were produced, a full digital version was also provided as a combined piece or individual elements, including printable bunting. 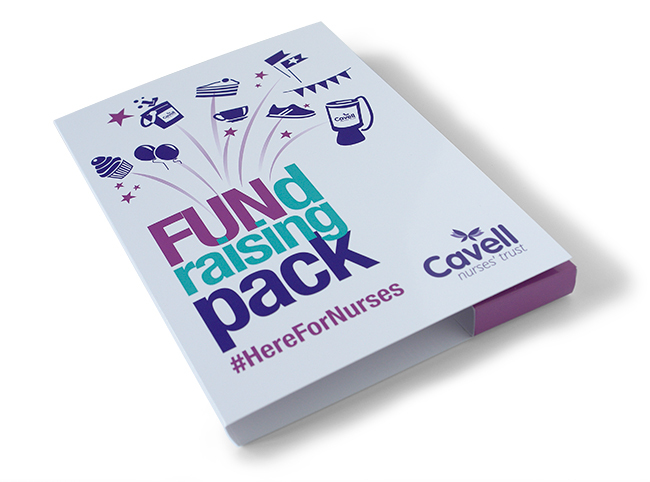 Cavell Nurses' Trust has now started to send out packs to their supporters, providing them with a valuable resource of ideas and accessories to promote a wide variety of fundraising ideas. The Trust can now effectively compete with other charities in their field and has a solid base of collateral for future new supporter campaigns.